Just wanted to wish everyone a Happy Winter Solstice. Thank you very much for visiting this humble blog of mine. I think this year in particular has been somewhat trying for many I know. I suppose that would include us as well in a way, though I would say we have been relatively fortunate. I believe that 2008 will be a very good year. And I'm not just saying that because it's customary during the holiday season, but I know it to be true. I at least know it to be true for us. It will be a year of many changes, most of which will be positive. It marks my first return to my country of origin after thirteen years, and that's kind of a big deal. In addition, I will be pursuing my art with greater interest and determination than ever before. It is being put forth as one of my greatest priorities for the year, and I have already taken step to ensure that this resolution will be realized. Not to mention the Presidential Elections are coming up, and this will be the first time I will be allowed to vote (if you don't know, this is why). As for now, I hope that everyone can keep above the commercial holiday flood-waters. I have been lucky to not have to drive through that traffic but once so far. A huge difference from previous years of working at the front-lines of consumerism. I think that is true for several of us, most notably the old "CHGS" folks. You know who you are! 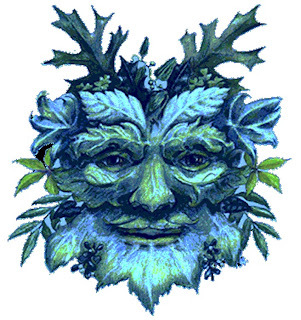 So once again, Happy Solstice, Blessed Yule, and Merry Christmas to all of you. The darkest days of the year are passing, and my best wishes to you extend with the dawn-light of tomorrow.